Keto diet infographics and weight loss charts are so good for finding out and keeping track of useful facts about keto way of eating. Even if you know you’re meant to eat foods primarily low in carbs, high-fat and moderate amount of protein, it’s still a challenge to figure out the numbers. And so here we have keto meal plan charts and infographics you can use as a reference for what foods to avoid and what to eat exactly. You will notice that I’ve grouped the charts based on the topic. The first couple of charts are related to general information and helpful tips. Then, you’ll see lists of food to avoid, keto food swap ideas, carb count for different food types and finally, meal plans. The keto meal plans are really simple and are full of great ideas that are especially suitable for busy people as well as for beginners. If you have never gone on this kind of diet plan before, try to keep it simple in the first week or two. When you’re ready to cook meals with more variety, you can always try interesting recipes like the ones in Keto Slow Cooker and One-Pot Meals. If you’re tired of searching for keto recipes and not knowing what to eat next, I highly recommend The Keto Beginning. 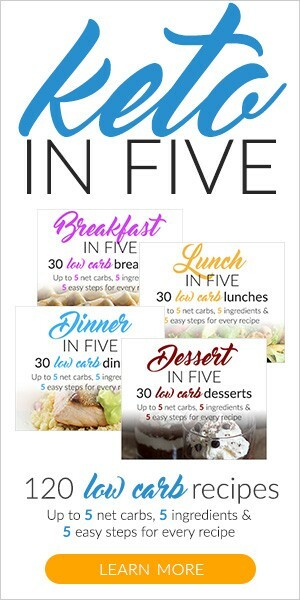 It’s a 30-day meal plan along with a great guide for keto diet beginners. It works! Click here to check it out now. And for a limited time, you can get 15% off The Keto Beginning and Fat Fueled Program (two 30-day program gems you won’t want to miss!) in a bundle. Click here to get 15% off. Here are two comprehensive keto infographic charts that explain what low carb high-fat (LCHF) diet involves and how it benefits your health. Next, the charts below are keto-friendly substitutes and keto food swap ideas. Having these handy really simplifies the whole process of sticking to a ketogenic diet plan. Plus, I love the list of healthy fats which makes it easier to avoid eating bad fats. How many carbs are in that food? Have you been googling how many carbs there are in every single food you need to eat? Well, these charts should answer most of your questions on carb content of various food. The carb content in nuts, fruit, vegetables and even alcohol (everything in moderation, right?) are listed here. Keep in mind the carb counts are per 100g. We all know one of the hardest things about sticking to a healthy eating plan is the meal prep and planning that’s involved. It can be so time-consuming and frustrating, especially when you have to remember what foods to eat and what to avoid. That’s why these low carb high-fat meal plans are the real deal. They’re super simple to make when you’re having a busy week and running out of ideas. And there you have it. The keto diet charts and meal plans that will make it easier to lose weight.